I remember trying my typing fingers at fiction in 2007 and wondering how I was going to just make things up. It was foreign to me, this concept. I’d been a journalist, a corporate writer, an essayist, then dabbled in the brand new world of blogging. All true writing, all authentic, all me. Now I had to put the five Ws and and the H (Who, What, Where, When, Why, and How) aside, at least sometimes? Today we have a guest post from Darlene Deluca who did the same thing. While I continued writing both fact and fiction, she set aside her corporate life to embark on fiction writing alone. Brave (and lucky) Darlene is joining us to day to share her journey. 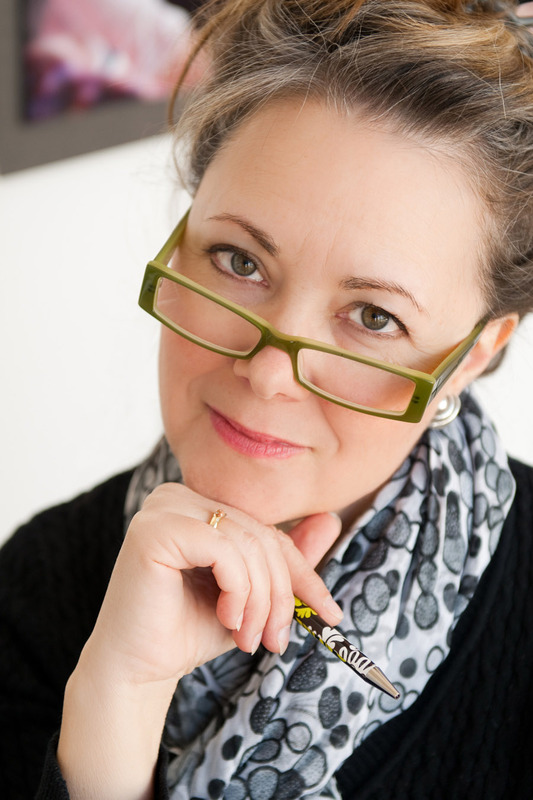 Please welcome Darlene Deluca to Women’s Fiction Writers! The motto of a journalist, those two words used to hang in large bold letters on a sign in a colleague’s office where we worked together in corporate communications. That sign was a constant reminder. For a journalist, it’s all about the facts. Who, what, when, where, why and how. No need to elaborate. No space for unnecessary words. Get to the point, and make it as clear and concise as possible. Turned out, those articles were always more fun – more fun to interview and research, and way more fun to write. There is certainly skill in being able to take a heap of information, often from a variety of sources, and whittle it into a concise, snappy article that’s easy for readers to understand in only a few minutes. It takes a different kind of talent to widen the lens and bring more to the story. More depth, more emotion, more human interest. And that brings me to writing fiction. I left corporate America a few years ago and set out to give voice to some of the stories rattling around in my head, to try my hand at fiction. Never planned to write fiction, but the timing worked for me, and once I got started, the new possibilities energized me. I could use my basic writing skills, but in new and different ways. I could connect with readers on a different level. Some things haven’t changed. The bible of a journalist is the AP Style Guide. I still have it handy when I write, along with several other reference books and materials. I still want to be grammatically correct. Yes, I still use a real, printed Merriam-Webster dictionary. But now I have other resources at my fingertips – a thesaurus of emotions, a book about putting the “fire” in fiction, notes from workshops on building scenes and creating characters. And I still do a lot of research because I want my stories to feel real and authentic. For my most recent release, I researched alcoholism and recovery. For my current work-in-progress, I’ve learned about surrogacy laws and medical procedures. Switching from journalistic style to fiction has been quite liberating. Emotion? Embellishment? Description? Oh, my! It’s such a departure, that my critique partners often have to push me to loosen up even more. Add more ambiance. Give more details. Set the mood. Show, don’t tell. Gulp. You mean use extra words? Yes! Not only do I get to expand in descriptive ways, I can go beyond the facts. Even better, I can make up the facts. Sometimes I sit at my computer crafting a scene, and I have to smile. I. Am. Making. Stuff. Up. I’m adding expression and emotion. A reviewer recently wrote this about my newest novel: “As the reader, I was drawn completely into the emotions of Claire. At one point in the story…my chest felt tight. I felt anger and shame….I empathized with Claire….I felt her confusion, pain, and fear”. I cried when I read that. It’s what writing fiction is all about. Darlene Deluca writes women’s fiction and contemporary romance, and likes to explore relationships – what brings people together or keeps them apart. Her characters seem like real people with real issues that readers can relate to. Darlene released her debut novel, Unexpected Legacy, in January, 2013, and it advanced to the quarter-finals in Amazon’s Breakthrough Novel Award. Her second novel, Meetings of Chance, is a contemporary romance. 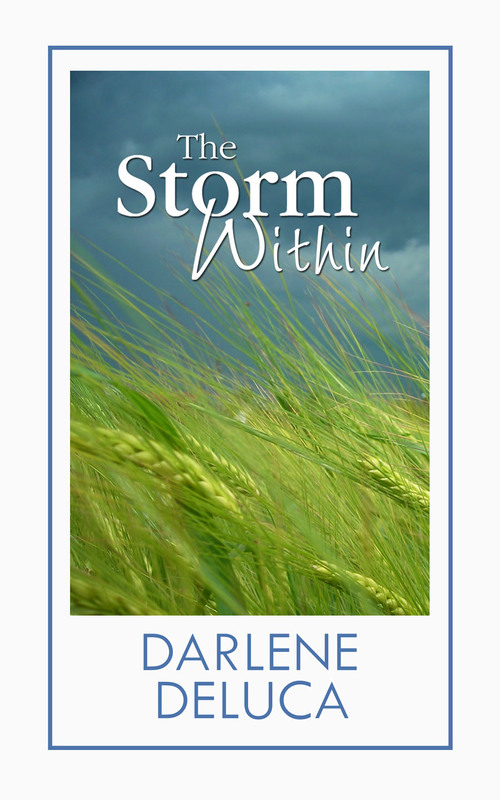 Last August, she released the first book of a small-town trilogy, The Storm Within. The series focuses on the bonds of friendship, and family relationships. She has a daughter who just graduated from college, and a son who’s a senior in high school. Darlene tolerates living in the Midwest (that’s where the fam is), but when the temperature plummets and the ground turns white, she often longs for a distant sunny beach. I know what you mean. When I first started to writing fiction it was a difficult transition. I was never a journalist, but as a Human Resources professional I wrote lots of internal employee communications, policies, training programs, etc. None of it felt like “real writing” until I started writing fiction. All of my friends who have journalism degrees had trouble making the transition from facts to fiction. To me fiction is supposed to be realistic enough that it has happened to someone, or many someones. Hi Darlene, Janet here! How”s it going manning the fort today? Nice post — I think I would find writing plays the easiest, where you set a scene then just have people talk! All those descriptors — where are the people, what’s going on, what happened before to bring them here, what do they look like, blah blah blah — who knows what is essential to the story and how much fluff is too much? I like your writing style because your characters are interesting and they are DOING things, more action than background emotion. Hey have a great day and I’ll catch up with you soon! Thank you for sharing your journey! It’s challenging to say the least to learn to write in a whole new format! I wish you all the best~! Thanks so much for having me on your site today, Amy! This is fascinating reading. I didn’t realise that journalism always needed to be so clinical and ruthless. I mean, I have written Ministerial briefings in a public service capacity and ruthlessness definitely applied there, but I tend to think of journalism as having more flexibility and as needing a “hook” more than government briefs. Enjoyed today’s post. One of my critique group members was trained in journalism and struggles with moving beyond “just the facts” in her fiction writing. I’m sharing this article with her so she won’t feel alone!